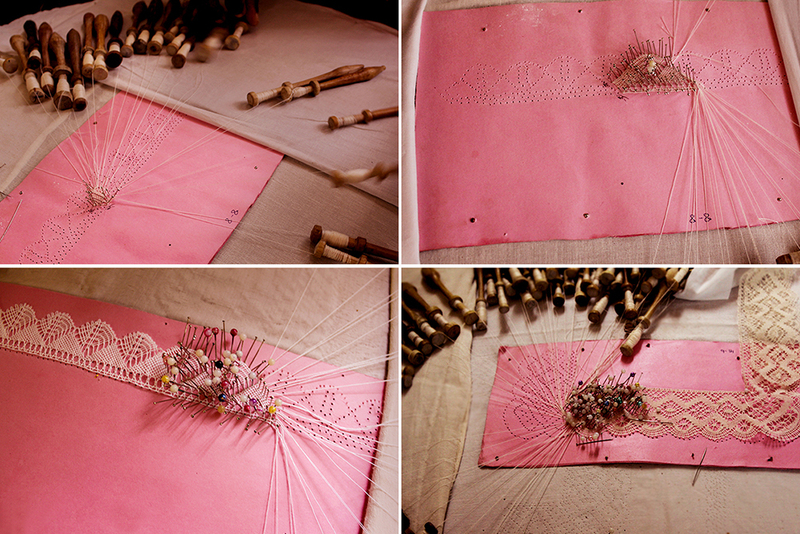 Bobbin lace is a lace textile made by braiding and twisting lengths of thread, which are wound on bobbins to manage them. 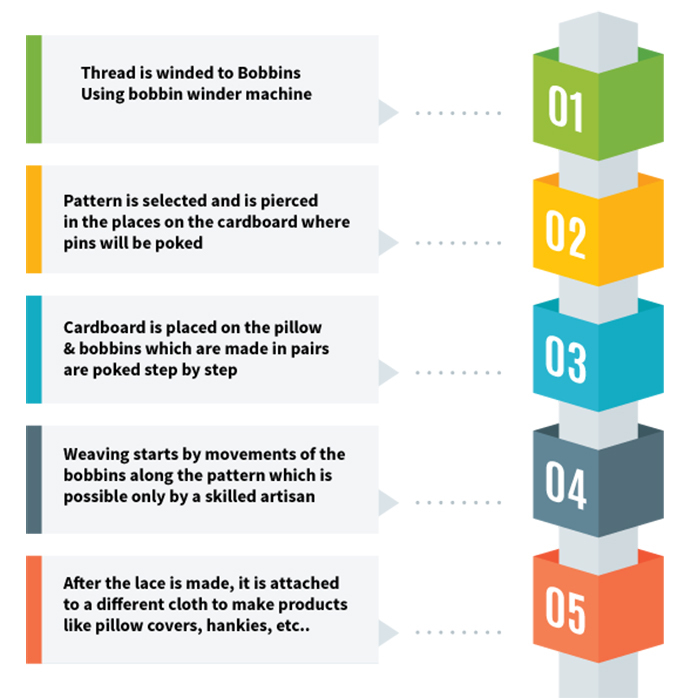 As the work progresses, the weaving is held in place with pins set in a lace pillow, the placement of the pins usually determined by a pattern or pricking pinned on the pillow. Bobbin lace is also known as pillow lace, because it was worked on a pillow, and bone lace, because early bobbins were made of bone or ivory. 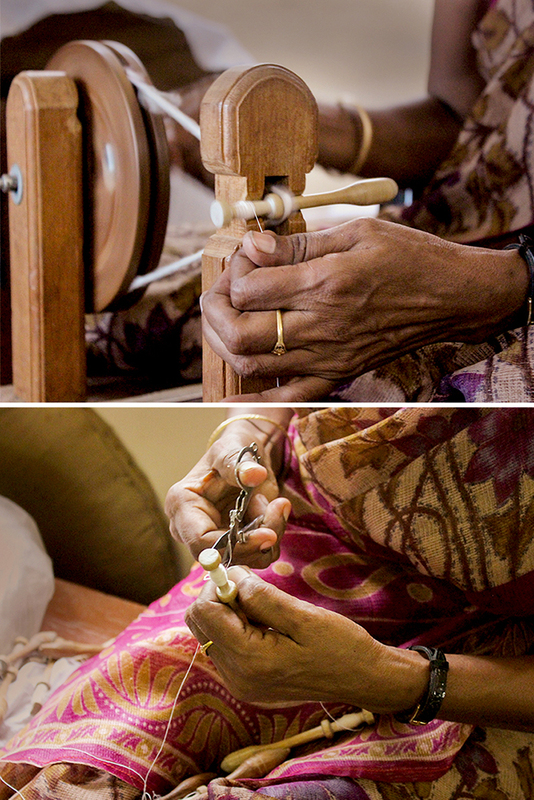 Bobbin lace is one of the two major categories of handmade laces, the other being needlelace, derived from earlier cutwork and reticella. 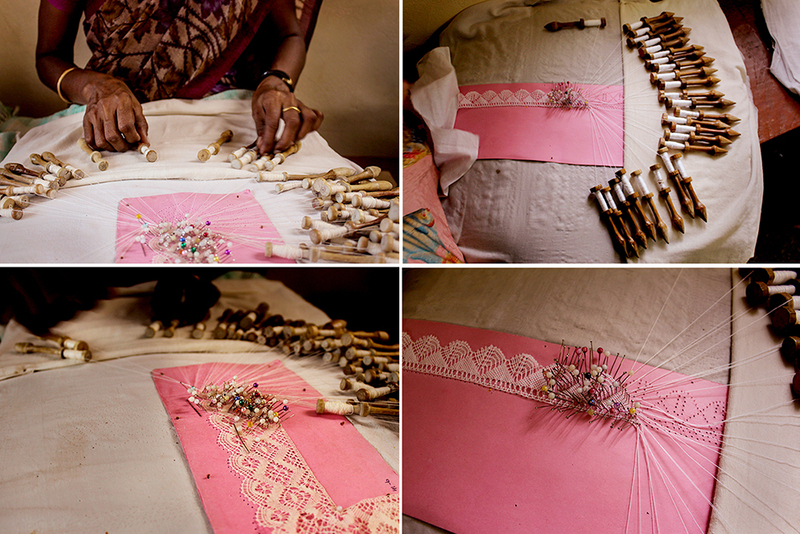 Bobbin lace evolved from passementerie or braid-making in 16th-century Italy. Genoa was famous for its braids, bobbin lace developed in this city. It traveled along with the Spanish troops through Europe. Coarse passements of gold and silver-wrapped threads or colored silks gradually became finer, and later bleached linen yarn was used to make both braids and edgings. The making of bobbin lace was easier to learn than the elaborate cutwork of the 16th century, and the tools and materials for making linen bobbin lace were inexpensive. There was a ready market for bobbin lace of all qualities, and women throughout Europe soon took up the craft which earned a better income than spinning, sewing, weaving or other home-based textile arts. 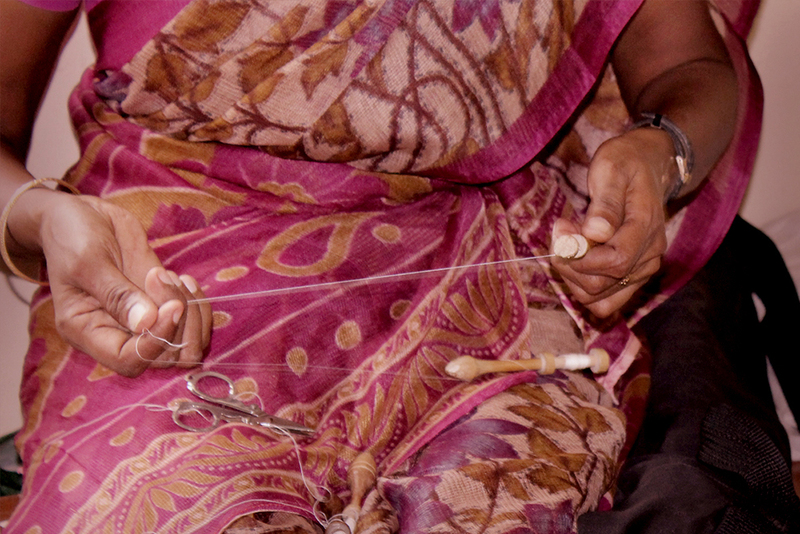 Bobbin lace-making was established in charity schools, almshouses, and convents. 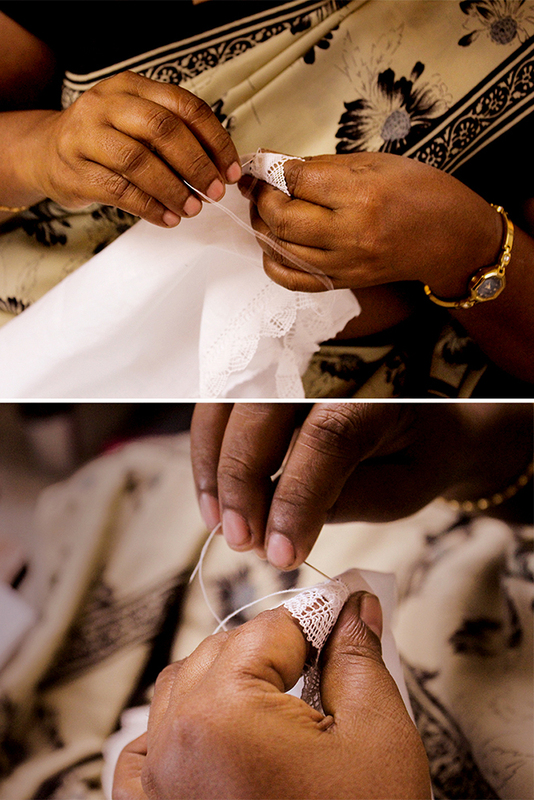 Bobbin lace may be made with coarse or fine threads. 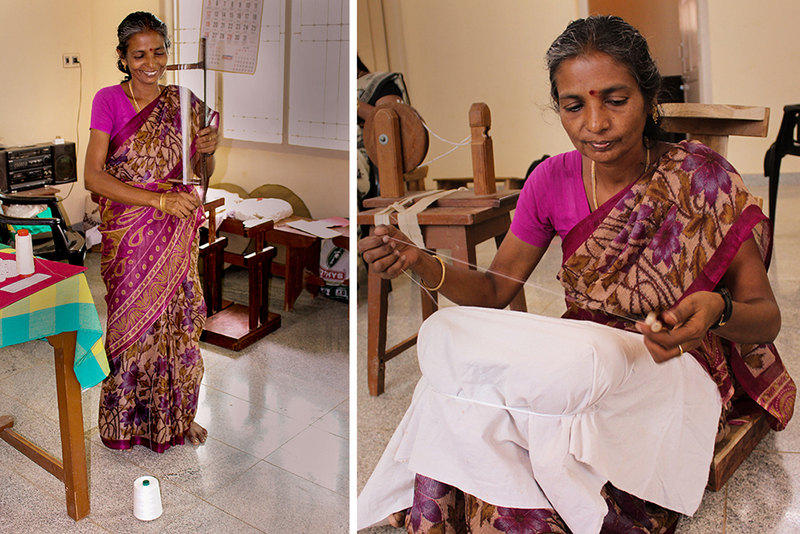 Traditionally it was made with linen, silk, wool, or, later, cotton threads, or with precious metals. Today it is made with a variety of natural and synthetic fibers and with wire and other filaments. The pillows must be firm, or otherwise the pins will wobble. The pillows were traditionally stuffed with straw, but nowadays polystyrene (Styrofoam) is generally used. The bolster or cylindrical pillow was much cheaper to make as it is just a fabric bag stuffed with straw. It was used in Bedfordshire lace. It needs a stand as it does not have a flat bottom. Usually the bolster had the pattern pinned round the cylinder, so by turning the pillow, the lace could be as long as was needed. 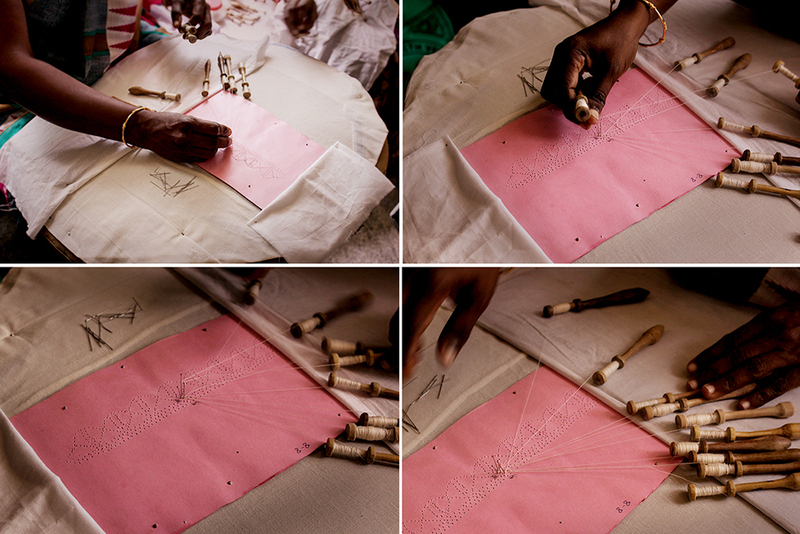 This problem (of the lace needing to be longer than the pillow) is solved in a different way by the roller pillow, which has a small roller, for working the lace, set into a larger area, where the bobbins are laid. 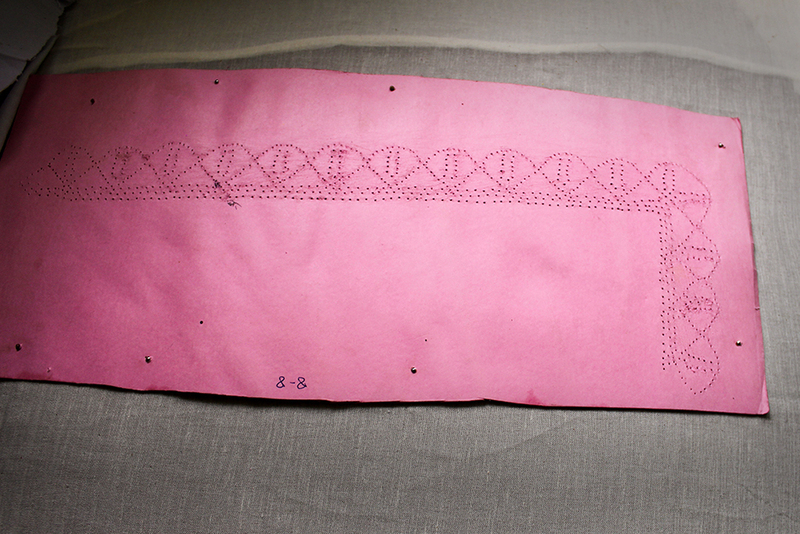 This means that the pattern can be pinned round the roller, but the pillow has a flat bottom. The cheapest modern pillow is domed and made of polystyrene (Styrofoam). It is often called a cookie pillow, because of its shape. Another modern pillow is a block pillow, with a frame which holds covered polystyrene blocks. 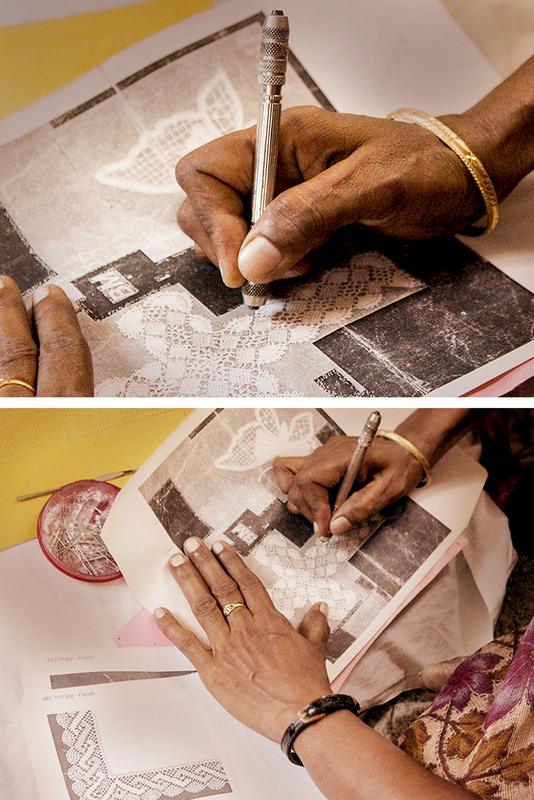 The blocks can be moved around as the lace progresses, to keep the lace being worked on at the centre of the pillow.